Are you looking for a high-quality and versatile Autel diagnostic scanner? 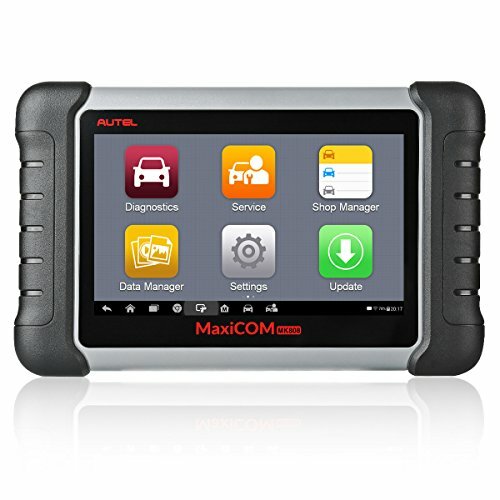 The Autel Maxicom mk808 is one of the most comprehensive OBD II scanners that you will find on the market. 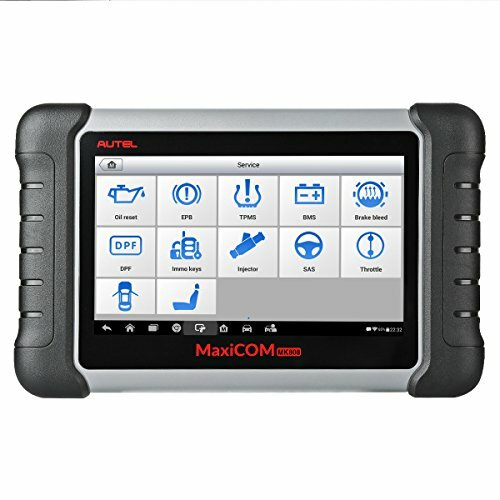 The Autel Maxicom mk808 automotive diagnostic scanner combines the all systems diagnostics from the Autel MD802 and the special services from Maxicheck Pro to meet different mechanics demands for efficient repairs. The scan tablet as well features the Android OS version 4.4.4. MK808 is the base version of the Autel tablet, and each Autel scan tablet comes with these features. The Autel MX808 has the same functions as the Autel MK808 scanner has. Read this Autel Maxicom MK808 reviews to know more about this scan tool. Autel maxicom mk808 scanner is a very versatile diagnostic scanner. It not only diagnoses the engine but also has all the other vehicle systems like the ABS and SRS. In addition, it performs all the OBDII functions and other special functions. You can also use it on basic functions such as reading and erasing error codes. Whether you’re a professional mechanic or a startup electrician, this diagnostic scanner will fit your different needs. It is very easy to use as it comes with a 7-inch screen for easy reading of results, it has a multilingual menu, and it is easily updateable via Wi-Fi. Additionally, you can easily store your data on the 32GB memory and the battery is very powerful as it can run for 4.5 hours continuously. You will not find touch screen display in the Autel MD808 Pro scan tool. Thus, The price of the device may be slightly high, but you can be sure that it will deliver outstanding results. So, if this is the gadget that you’re looking for, read on to know more about its features, pros, and cons. 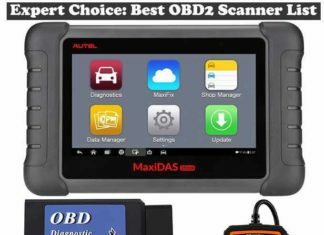 When compared to OBD II scanners in the same category as the Autel maxicom mk808, this one is more versatile and offers additional features that make it be cost-effective. This automotive diagnostic scanner supports basic IMMO functions and TPMS service, including showing sensor IDs from vehicle’s ECU, inputting TPMS sensor replacement IDs and registering sensors to the vehicle. Unlike many high-end diagnostic scanners, the maxicom mk808 is a simple and easy to use gadget. The moment you connect the device, you can access the key functions right away. These include oil reset and BMS/DPF/EPB/SAS service which are utilized for the safety and efficient maintenance of the systems. So, there is no fumbling around to check the key tests. Even though this scanner features a wide range of functions and features, it is very simple to use and connect. Simply connect the cable to the OBDII port and view the data instantly. It is also Wi-Fi compatible. Additionally, it features a 7-inch screen that makes reading and erasing of error codes to be easy and fast. Also, you don’t require a card reader or USB for updating the software as just a touch and it will be updated using the Wi-Fi. If you’re a mechanic looking for a versatile and reliable diagnostic scanner, this is a good choice for. The Autel maxicom mk808 is compatible with various car makes and models. As a matter of fact, it functions on most 1996 US-based, 2000 EU-based and newer vehicles to do the full system diagnoses including reading/clearing codes and viewing live data to check the health status of parts. The only challenge is that it is not compatible with most exotic vehicles. So, if you intend to work on exotic cars, look somewhere else. Another amazing function about this gadget is that it features a fast quad-core processor. This helps it to operate smoothly and very fast. As a result, it allows you to check the issue with the car very fast and carry on with other repair tasks. 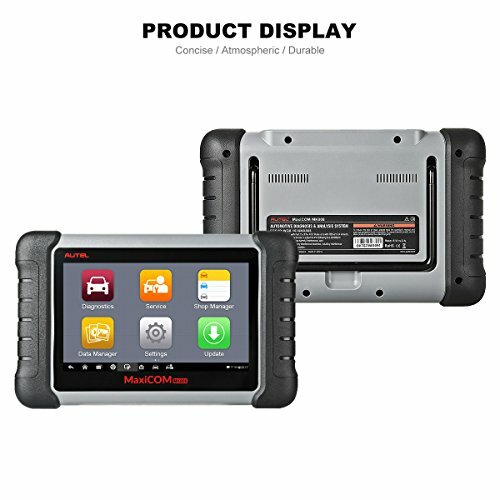 Apart from offering all the normal obd2 functions, this automotive scanner goes ahead and offers special functions as well. These include oil reset, EPB reset, ABS, IMMO, DPF, BMS, SAS, and TPMS. All of these functions are extremely vital in helping you restore your car to its best performance. So, you will get maximum pragmatism. Besides providing the normal features of top end scanners, the Autel maxicom mk808 also has some extra features that users can enjoy. These features include a multilingual menu for use by people from different regions, online update via the Wi-Fi, a 32GB memory card for storing info and data for future reference, and it supports printing. If you want a device that you can carry on a daily basis as you go to work, this is the best option for you. The Autel maxicom mk808 is very lightweight and portable. Its sleek design makes handling and storing it to be very easy. This scanner is very expensive when compared to other scanners on the market. So, it is not suitable for people who are going to diagnose just one car. But if you have a car repair shop or if you’re a mechanic who handles a lot of vehicles, then this is a good investment as it can be used on different types of cars and carry out different tests. Another shortcoming is that this diagnostic scanner is not compatible with all the car makes and models on the market. If you have exotic cars, then you should look away from this gadget. It won’t be of help to you. Before buying the device, ensure that it is compatible with the types of cars you want to diagnose. You can take a look for the Autel DS808 for better compatibility. Featuring a wide range of features and functions, this is not the best OBD2 scanner for beginners. It comes with lots of functions and features that may confuse a startup electrician or mechanic but worth to learn it. The MK808 is best suited for beginner and professional mechanics. The Autel Maxicom mk808 automotive diagnostic scanner might be quite expensive but it is worth every penny. It is very easy to use, portable, user-friendly, has a wide compatibility, it is versatile with complete OBDII functions and special functions. Also, updating the gadget is very easy through Wi-Fi. This scanner is best suited for professional mechanics but can as well be utilized by beginners. Exotic car owners should look for other diagnostic scanners as this one is not compatible with most of the exotic vehicles. I hope in this Autel Maxicom MK808 reviews article was helpful to you. Question: Do I have to pay in order to update the scanner? Answer: According to the device, it is advertised as having “free lifetime update”. But when you read different reviews from different users, you will notice that this is not true. This is very deceptive and has angered many buyers. Actually, the user can only enjoy one year free updates. When that period expires, the user will be required to pay $124.5 every year for updates. But it is not a must to update unless you want the latest software version. Question: Is this scanner capable of reprogramming the tire monitors if I switch tires? Answer: Yes, it can. This is a very excellent device and can be very beneficial if you learn it slowly and carefully. It is very versatile and performs a wide range of functions. Also, one can program additional fob for the vehicle. Question: Does the Autel maxicom mk808 come with a warranty? Answer: Yes, it does. This device comes with a one-year warranty together with one-year free updates. So, you can be guaranteed that this is a reliable and outstanding device that you can rely on to deliver excellent results. Still have confusion? Comment below of this Autel Maxicom MK808 reviews post. IF THIS IS NOT UPDATED FOR 3 YRS. AND YOU PURCHASE AN UPDATE WILL THE 3 YEARS ALL BE COVERED ? OR DO YOU HAVE TO PAY THE $124.50 EACH YEAR TIMES 3 YEARS ? THANK YOU. Yes, it will cover. You have to pay only $124.50. Yes, it support key fob programming.